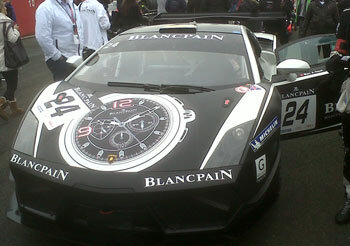 The finale of the Blancpain Endurance Series was held at Silverstone earlier this month. We went to the famous track to watch the action unfold. The nr40 Marc VDS Racing Team BMW Z4 of Bas Leinders, Markus Palttala and Maxime Martin was the strongest car in the three-hour race at Silverstone, with Martin taking the chequered flag to claim the second win of the season. It was recently revealed that the next race will be held at Silverstone in June 2012.